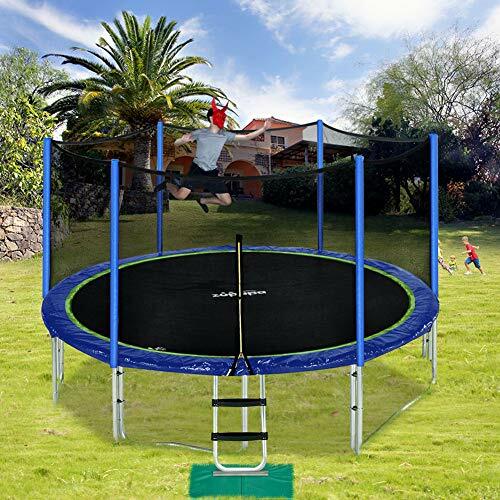 The Zupapa trampoline is one of the most popular trampolines online today! There are several reasons that the Zupapa trampoline is popular, from price, to convenience to quality. Zupapa offers a competitively priced trampoline with all of the necessary accessories, so you do not need to purchase anything else. When you buy a Zupapa trampoline you get the trampoline and enclosure as well as a ladder, wind stakes and a rain cover (or sun cover). The Zupapa Trampoline poles and frame are made from galvanized, heavy-duty steel that is rust resistant and durable. The frame is designed that no drilling is required to put the trampoline together, and they have instructions and videos if you have any troubles or questions. The Zupapa trampolines have 6 feet tall enclosure nets which are attached right to the mat so that there is no gap and no possibility for children to slip between the enclosure and the mat surface. It is designed for a high weight limit of 375 lbs which makes it great for older children and even adults! While only one jumper at a time is recommended, its build can handle much more weight! 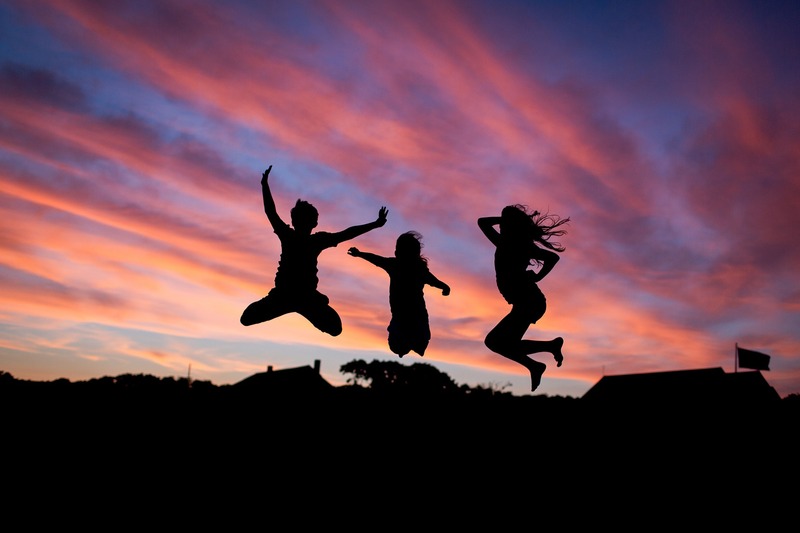 If you are wondering when the ideal time to buy a trampoline is, then check out this post. Click Here To READ more reviews and BUY online. The Zupapa Trampolines come in three sizes 12ft, 14ft and 15ft in diameter. The frame height is 2.8″ and the safety enclosure net is 6 feet tall. Something to take into account when purchasing a trampoline is the mat size. While the diameter is the largest circle size, the mat sizes are smaller. 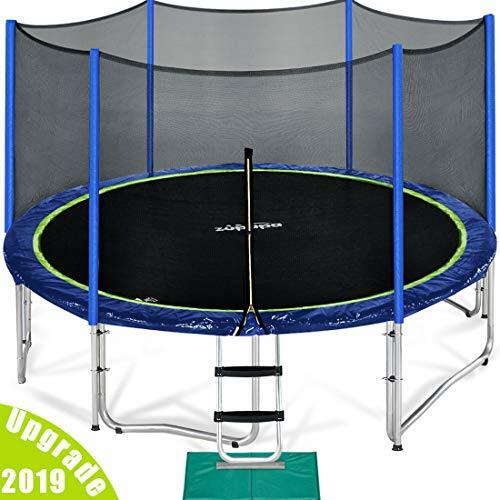 With Zupapa trampolines, the 15 foot trampoline has a diameter of 13.25 feet, the 14 foot trampoline’s mat diameter is 12.3 feet and the 12 foot trampoline’s mat is 10.4 feet. I always suggest you going with the largest size that you can fit into your space. The small extra cost will give you more bouncing space, especially as your kids grow! The trampolines made by Zupapa all come with a 6 foot tall enclosure net. 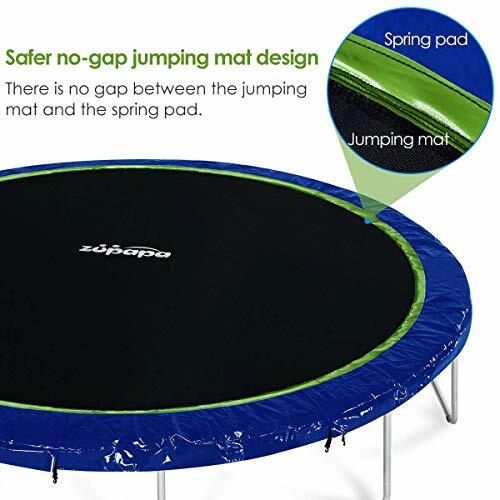 The Zupapa trampoline had a redesign in 2019 which created a no-gap mat and enclosure design so that children cannot slip between the frame and the enclosure. Although the net is not intended to be used to bounce off, knowing that it is there gives parents a lot of comfort. If you are not convinced that the Zupapa is for you, read more reviews on the best trampolines here. ← When is the Best Time to Buy a Trampoline? When is the Best Time to Buy a Trampoline?